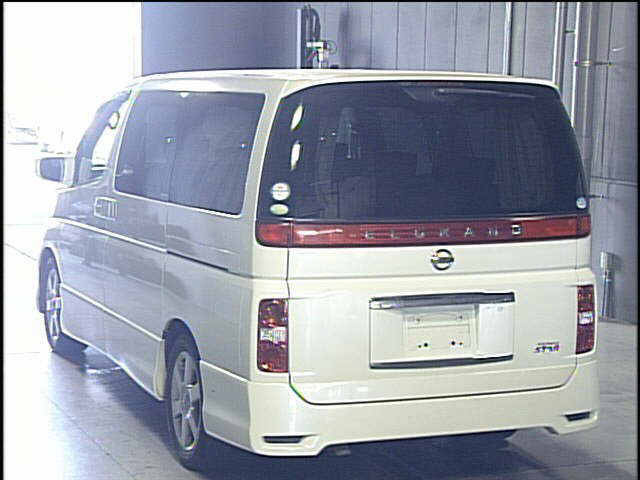 Used Japanese Nissan Elgrand 2008 model coming in Japanese Car Auction JU Gifu. This used vehicle is immaculate condition comfort drive with Alloy wheels. 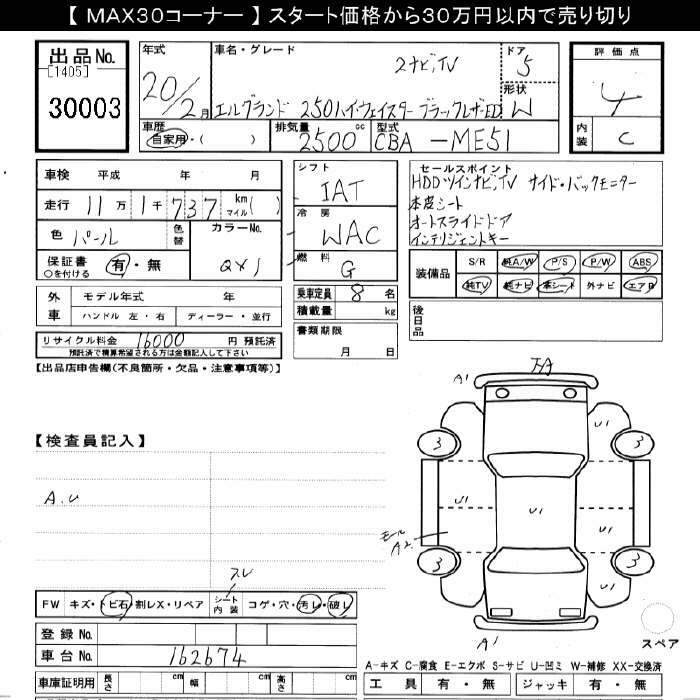 Currently starting bid is only 800 000¥. 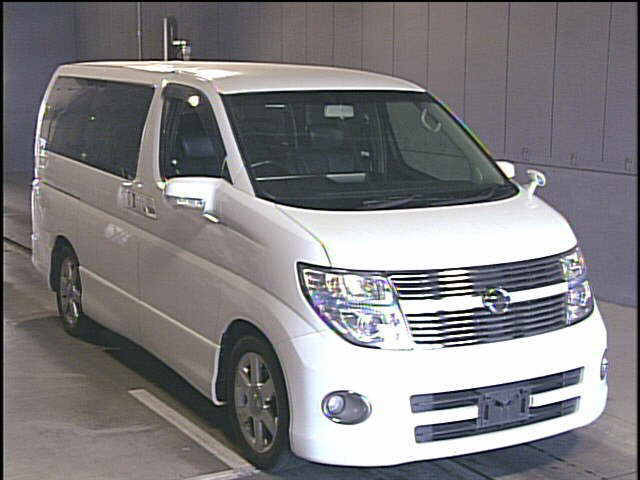 This Japanese used vehicle available in pearl colour, right hand drive with 2500cc liter petrol engine and the mileage is 111000km.